I would like to express how very satisfied I am with my newly installed heat mirrored windows by BNW Builders. Everything from my initial meeting with Bruce, to the actual installation was impressive. He offered a thorough and informative presentation of his product, and installation was only one day. His overall personality was very refreshing and genuine. My new windows cause my home to stand out on my block, and I now enjoy looking out of my windows. I also noticed that my furnace does not run as often as if has in prior years. (sometimes I have to check to make sure it's working). Again, I would like to thank you Bruce for your helpful assistance in all the aspect of acquiring my new windows in the past and the future. I am very appreciative of your very helpful follow-ups and your personal interest, even after the job has been completed. I would highly recommend BNW Builders to everyone. I am a very satisfied customer. I made a purchase from BNW in Jul 04, 10 windows and a sliding door with Grids. I'm very happy with the quality of work and the installation, very professional. I'm getting positive comments all the time. I had over 4 or 5 competitors, but no one could come close to BNW quality windows. I'm proud I made the right choice for windows and that was BNW. Thanks for making my house more energy efficent, and the look is second to none. Thanks again! We are writing this letter to let you know how pleased we are with the windows we purchased and had installed from your company. It has been a pleasure getting to know you and your company. Our decision to have new replacement windows in our house was a very big investment in time and money. We searched and met with several window companies before coming into contact with you. Your product out shined all the others. The personal service we received and the amount of time you spent with us is something to be commended for. Your no pressure sales approach, family oriented business style is one that we look for and will support in a company. When other companies were weeks out to getting to us you were right there to help us out in the most efficient way. We cannot say enough how your craftsman Gerry, did such a beautiful job installing the windows and new trim. We have gotten lots of compliments. If you ever need a reference for your company, please do not hesitate to mention our names. Thank you for your time and good quality service we received. I just want to say that I'm so happy to say that BNW Builders put windows in my home! Scott and I interviewed several companies before deciding to go with BNW Builders. 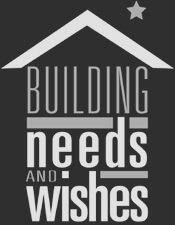 We heard from so many people that they want to give back to the community but out of all of the companies we contacted BNW Builders is the only company helping out people in need. It is companies like this that really make a difference in our community!! It makes me very happy to see that Bruce and his staff is out there helping out people that otherwise wouldn't have been able to fix up their house to make it comfortable. We've had our new windows now for almost four years and are truly happy with the windows and the staff at BNW Builders. Keep up the good work in our community. Wow !! Our electric bills really did go down about 15%. We do the budget plan with VA Power and our payment just went down $34 p/month! We are really pleased. Our house is also much warmer. We are sure glad that we saw George and LaVida's sign in their yard! We have given out some more cards. We had a great experience with Bruce in selecting our windows and planning for the installation. Everything was done as described. We were surprised at how neat the installer kept the worksite while he was working and at the end of each day as he bundled and removed the trash. He was very concerned for our home and furnishings when he worked inside. The finished product of the new windows and the new window trim was a beautiful installation which we are proudly showing off to our friends. We recently replaced our twenty four old single pane windows with the Heat mirror Glass windows. The exterior of the home looks great and we have noticed a change in the heating and cooling of our home. We don't hear our furnace cutting on and off as much. And also we do not hear outside sounds as much. Thanks to Gerry for his expert installation. I purchased 16 replacement windows from BNW Builders. They improved the appearance of my home very much. I am very pleased with them, functionally and looks. I was delighted with the professional manner of the demonstration, and amazed at the skilled approach of the craftsman who installed them. Everything went very well. I would like to take this time to thank BNW Builders for the excellent job they did on my windows. I am really enjoying them. I have gotten so many compliments on them.My hat goes off to Mr.Weigan on a job well done. I love our new windows. It is just like you said. The quality and workmanship is super. I don't know how much it is saving me in fuel yet but I do know that the house is comfortable and the heat pump is not running all the time like the neighbors. We will keep you up to date on how everything else is going.